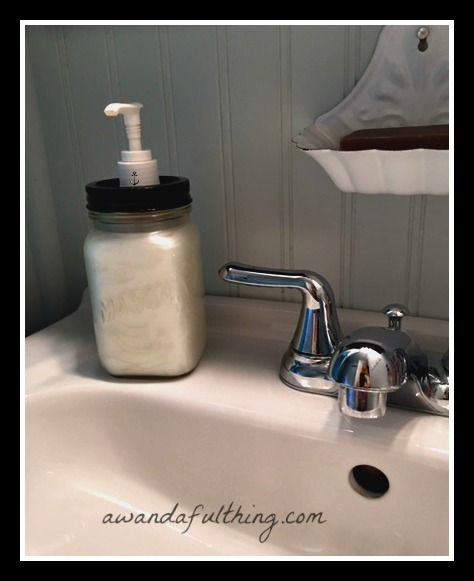 September Craft Challenge – how to make a soap dispenser from a mason jar. September Craft Challenge – make a craft using a mason jar. Just in case you are new and this is your first time visiting, here’s the scoop. Last month was our terracotta plant pot challenge, the picture to the left shows the candle holder I made. This month the craft challenge item was a mason jar . I’ve wanted to make my own mason jar soap dispenser ever since I saw one on the blog One Good Thing By Jillie and that was back in 2012, be sure to check it out, it has a great tutorial. This is my version of a mason jar soap dispenser and a quick description of how I made it. I made the hole in the lid with a drill and then used a dremel tool to make the hole big enough for the soap pump to fit. I spray painted the lid and the ring black to match my bathroom, then glued the pump in with E6000 and once it was dry and filled with soap it was ready to go. I can’t decide whether or not to chalk paint the mason jar ….what do you think? 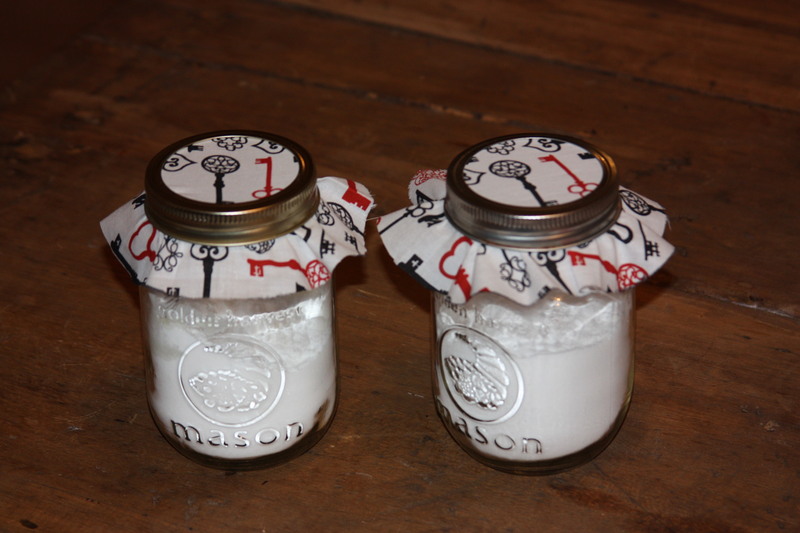 You might also like these mason jar air fresheners, check them out here. 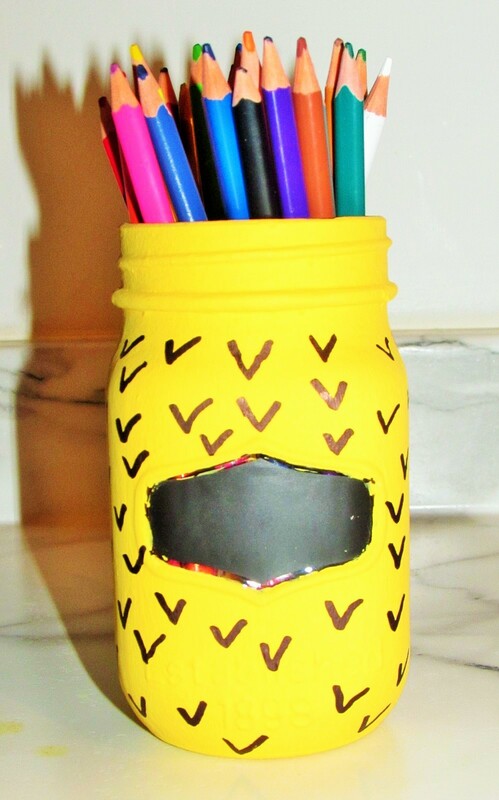 Be sure to check out Amelia’s post over at You Can Always Start Now she made an adorable pen holder for her home office. She used craft paint and a sharpie. Quick and easy!!! I love the color and the pineapple design. Be sure to Mark Your Calendar for October when we will be making a craft recycling any type of container. Thanks for stopping by we would love to have you join our craft challenge– it’s never too late! 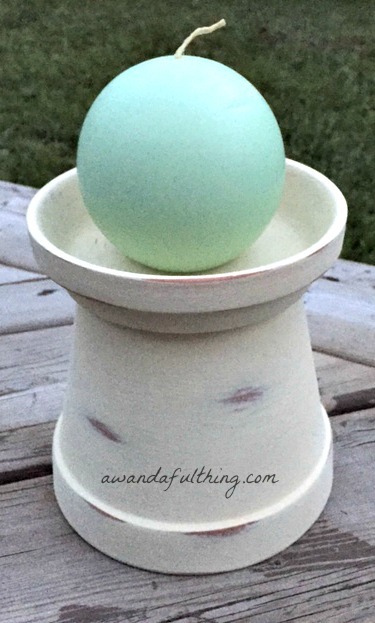 This entry was posted in Decorate, DIY and tagged chalk paint, challenge, cheap, craft challenge, Crafts, Decorate, dispenser, DIY, easy, how to, ideas, inexpensive, living, make, mason jar, repurpose, reuse, simple, soap. Bookmark the permalink. 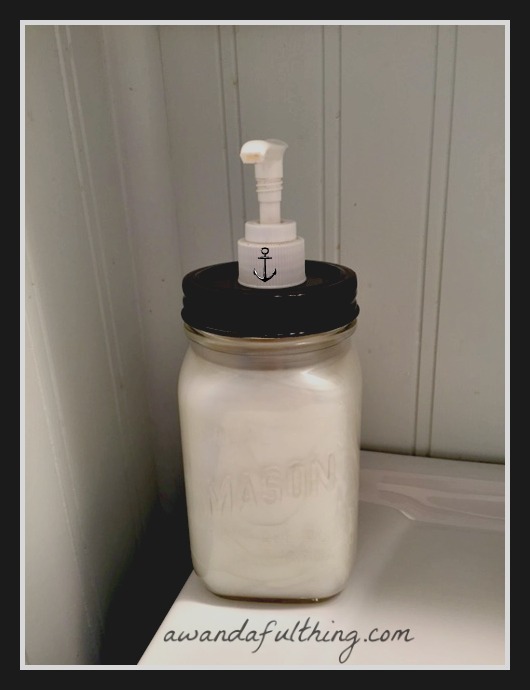 5 Responses to September Craft Challenge – how to make a soap dispenser from a mason jar. My take is don’t use the chalk paint on that one! Love the black top and I’ll be saving those soap dispensers now!